Another season of SNL has come and gone, and it was a very solid season. 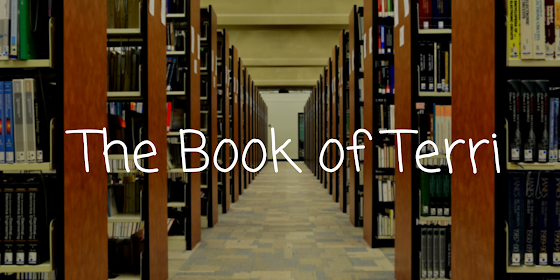 With the election from hell 2016 election, the presidency of Donald Trump, and various other national happenings, it certainly was an exciting season. 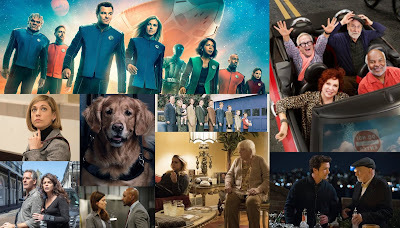 While there weren't any Ariana Grande-level unexpected breakout first-time hosts, some reliable favorites returned for some very solid episodes. Last time around, I crowned Grande as the top host of the season, with Tina Fey and Amy Poehler as runners-up. Stay tuned for who will take top honors this season. 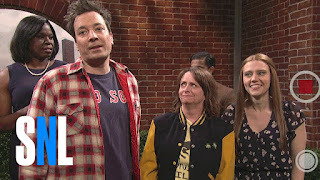 Jimmy Fallon was a longtime SNL cast member, so it's no surprise that this was a great episode. But that doesn't make it any less funny. There was so much for me to love about this episode. It featured the return of the Boston no-longer-Teens (which meant a Rachel Dratch appearance), Spicey, the final Jacob the Bar Mitzvah Boy, Fallon as Kushner, and a great Celebrity Family Feud. It was just such a fun episode and Fallon brought so much energy to the show and I loved it. 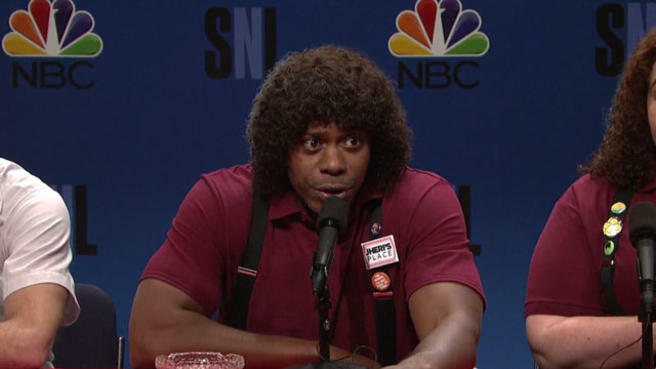 Dave Chappelle somehow hosted SNL for only the first time, as he was predictably a natural at it. He was the best first-time host of this season, and he's the only one to make this list in a season dominated by old pros. Election Night was a hysterical (and very true) sketch that brought some hearty laughs after a long election cycle. Jheri's Place was an original and very funny sketch that I greatly enjoyed. 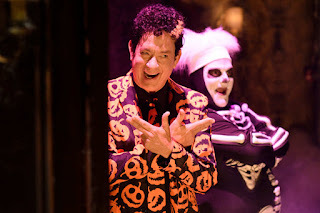 It was so different than the stuff we typically see on the show, and it also featured a great David S. Pumpkins callback. I would gladly welcome Chappelle back to the SNL stage anytime, because this was a great episode. Melissa McCarthy is one of the most consistently funny hosts of recent SNL memory. In fact, she made this list in the #3 spot last year. Her humor is goofy and fits perfectly with this show. Plus, she was SNL's resident Sean "Spicey" Spicer impersonator during his brief White House tenure, bringing us lots of laughs for more than just her hosting gig. She's more than earned this #2 spot. 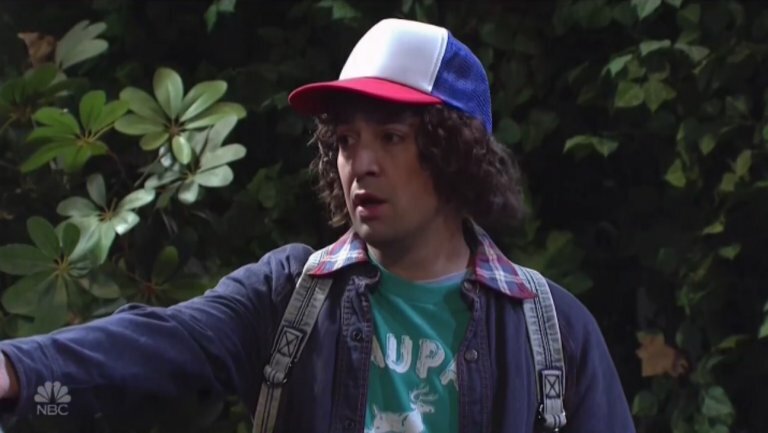 After a decade of being absent from the SNL stage (save for cameos) for over a decade, Hanks made his triumphant return during the front half of Season 42. This gig brought us the wonderful David S. Pumpkins, the finest Black Jeopardy sketch to date, and a hilarious (yet very messed up) sketch about girls on Halloween. Hanks made this episode great, and the writing was fantastic. The political cold open was really great, too, probably one of my favorites of the season. 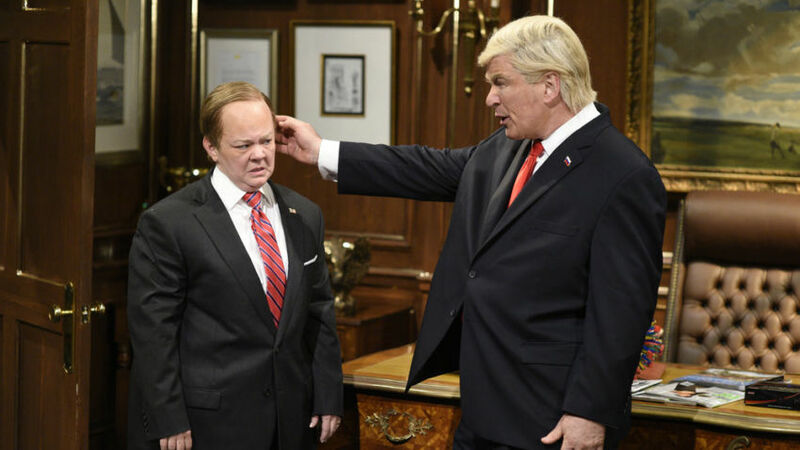 There weren't any bad sketches during this episode, with even its weakest sketch being stronger than most other SNL42 sketches. This was easily the best of the episode of the season. Sketch of the Night: David Pumpkins. Any questions? While this episode wasn't in my Top 5, it was still really good. Lin-Manuel Miranda was someone I wanted to see host before the season began, and he didn't let me down. This was a strong second episode and was a step up from a (actually pretty solid) premiere. And it gave us "A Day Off" With Kellyanne Conway, and for that I'm eternally grateful to this episode. Ansari is similar to Chappelle in that he's someone that seemingly should have hosted a long time ago, but he finally got his shot this season and it was great. He was a natural host and meshed really well with the cast. My favorite moment was his sketch with Melissa Villaseñor, the Bedroom, which was rally hilarious. Who were your favorites hosts during season 42? Let me know in the comments below and don't forget to vote for your favorite in the poll below. Join me very soon for another SNL Throwback, and don't forget to check out the TV Ratings Guide every day for more fun features.